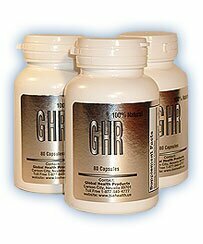 Everyday Low Pricing: Receive three containers of GHR for only $195.00 (including shipping and handling). After clicking on “Buy Now”, you will be taken to the checkout page. Paypal customers simply sign in. Non-paypal account holders can click on “Don’t Have a Paypal Account? (found under the login button on the checkout page) to complete your transaction. *required field.Repeat customers enter "repeat"
Copyright © 2000 BIE Health.